Bordeira situated in the South West; About 496 habitants (censos 2001). 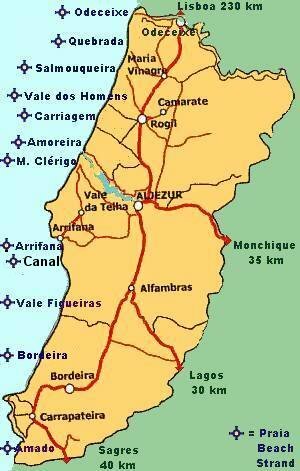 Approximate distance from the small village of Bordeira to the beach of Bordeira is 3 km, Amado 6 km and Aljezur 15 km. Carrapateira: Small village, 1 supermarket, 1 market place, 3 restaurants, 1 ATM. 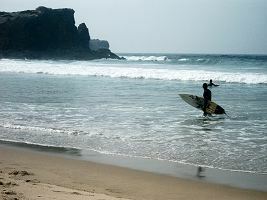 Approximate distance to the beach of Bordeira is 3 km, from Amado 6 km and to Aljezur 17 km. Objects of interest: Fortress from the (17th c.), Igreja Nª Sª da Conceição (16th c.), Manuelino Portals. 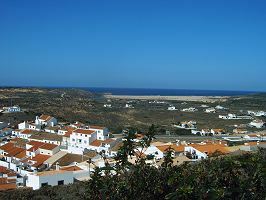 Apartments, houses and villas so as room rental in different price classes in Carrapateira will be soon presented.